The Graduate-and-Professional-Community-Initiative-2013, created by the Graduate and Professional Student Assembly in 2013 as a strategic 5-year plan, provided a framework to identify and address issues related to graduate and professional student life. A progress report as of Spring 2018 provides a summary of progress on GPCI-related issues that have been achieved through effective partnerships between graduate/professional students and many offices across campus, including the Graduate School. The Graduate and Professional Student Assembly plans to revise and update the GPCI during Spring 2018 to establish a framework for the next 5 years. Dean Barbara Knuth speaks at a 2016 Graduate and Professional Students Association (GPSA) Meeting. Many of the suggestions for the Big Red Barn require significant financial support and long term planning. So that students’ voices continue to be heard and influence decisions about space usage, a student survey was conducted to identify priorities and preferences of the graduate and professional student population regarding the BRB; results were reported in July 2015. BRB Renovation: The BRB underwent a $1.2 million dollar renovation funded by the University that included building stabilization work, a new roof, paint, shingles, and copper trim. A new sound and video display system was installed in January 2017. The number of electrical outlets in the BRB was increased and new networked televisions were installed to enable easier viewing for events at the BRB. BRB Air Circulation: In Summer, 2018, powerful new ceiling fans will be installed, with the goal of making the BRB more useable during summer months to enhance the summer experience of graduate and professional students. New and Improved Graduate Student Meal Plan: Since January 2013, a Graduate Student Meal Plan was implemented with no administrative fee, allowing students to benefit from the 8% tax-exempt discount and offers an additional 5% discounts for purchase at the BRB. Big Red Barn Advisory Committee: The Big Red Barn Advisory Committee brings student voices into conversations about the BRB space for food and programming, along with many opportunities to voice their opinions on how it can better serve the graduate and professional student community. New Dining Options at the BRB: The BRB surveyed current graduate and professional students to understand perceptions, current usage, and future wish list for the BRB. As a result of survey results, Cornell Dining changed the dining menu to a coffee bar with grab-and-go lunch options, and added some hot food. Food trucks were added to Friday afternoon TGIF. Associated with the closure of Martha’s Café in summer 2018 to begin two years of renovation to the MVR building, Cornell Dining is exploring expanding meal service in BRB, both in hours and menu, for at least the duration of MVR renovation. 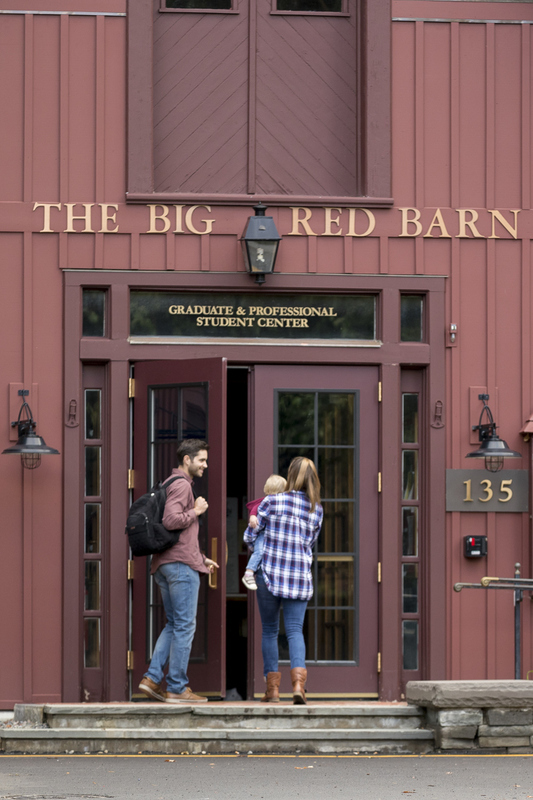 BRB Newsletter and Social Media Presence: Communications about the Big Red Barn’s events and programming were improved through a streamlined weekly newsletter, which is sent to all registered graduate and professional students, as well as new BRB Facebook and BRB Twitter accounts. Student Programs at BRB: More Graduate School programming is using BRB as the venue since 2013, including Writing Boot Camps, Write-Ins, and Writing Retreats; ELSO conversation hours and game nights; 3-Minute Thesis preliminary round competitions, Ethics Café, Lab Crawl, NSF Fellows Recognition Reception, Veterans dinners and biweekly veterans social hours, new student orientation and resource fair (August orientation), among other events. Programs are announced via the BRB weekly newsletter as well as the weekly Graduate Announcements from the Graduate School. Flexible Use of Space in the BRB: Cornell Dining is working with BRB staff to determine funding and strategies to partition space in the BRB to meet student needs as expressed through the student survey as well as expanded dining needs. Suggestions for Future Attention: Consider options to increase graduate and professional student access to student programming space on campus, including Willard Straight Hall. With the addition of powerful fans for summer cooling, develop recommendations related to sustainable summer programming considering staffing and other financial requirements. The 2016 Graduate School Writing Group Program Celebration. While some of the programs and initiatives listed below arose independently of the GPCI, all programs were influenced by the GPCI. For example, the Graduate School recognized the need for academic writing support programs prior to 2013 and began planning for a slate of writing programs. We created a format emphasizing peer support and connectedness across fields due to the GPCI suggestion for increasing social cohesion and connectedness. Writing Boot Camps: The Office of Academic and Student Affairs sponsors an award-winning week-long writing boot camp that includes Dissertation Writing Boot Camp, Thesis Writing Boot Camp, Proposal Writing Boot Camp, and a Virtual Boot Camp. (Launched in 2013.) In addition, One-Day Writing Boot Campus accommodate more students with peer interaction and less facilitator/associate dean engagement. Writing Groups Program: Through collaboration with the Graduate School, the English Language Support Office, and Cornell Libraries, the Writing Groups Program began in Spring 2016. This program is open to all graduate/professional students and postdocs and aims to create interdisciplinary writing groups where students can work on existing projects and develop strong academic writing skills while interacting with peers across disciplines. Due to positive response, the program was continued in Fall 2016. Fellowship Workshops: The Graduate School offers programming that supports applicants for external funding opportunities (including the NSF and HHMI fellowships) by providing technical information, peer review, and fellowship tips. The NSF reception has been held annually since 2014. 3 Minute Thesis: The 3-Minute Thesis Competition, in which students present their dissertation research in three minutes or less to a graduate student audience and interdisciplinary group of judges, has been held annually at Cornell since 2014. Olin Lecture: For nearly three decades, the Graduate School has promoted interdisciplinary discussion by sponsoring the Olin Lecture. Suggestions for the Olin Lecture speaker are provided by the graduate community, including GPSA. In 2017, a different format focusing on more direct interactions with graduate students will be implemented. Lab Crawl: Since 2014-15, Lab Crawls are sponsored to promote interdisciplinary interactions. Students visit labs across campus, where peers discuss the nature and significance of their work. More opportunities for Cross-discipline Student/Faculty Interactions: The Graduate School publicizes various opportunities through Engaged Cornell , Multicultural Awareness Council, Cornell Libraries Spark Talks, etc. via the weekly Graduate Announcements to graduate and professional students. More Cross-Campus Communications and Opportunities: The Graduate School is supporting GPSA’s efforts to interact with Geneva and Cornell Tech campuses, and the Graduate School leadership meets occasionally with Geneva and Cornell Tech graduate students to learn about their interests and concerns and help address perceived needs. More Successful Communications Platforms: Improved communications through the revamped Graduate Announcements, Graduate School Twitter, Events Calendar, and the personally-tailored Ask a Dean column that provides fast answers to students’ questions and shares those answers with the larger student community so more can benefit from the information. Orientation Events: The Graduate School hosts an orientation program for newly admitted students. In 2013, students viewed the video debut “Graduate Students, Graduate Stories,” which provided students with an opportunity to hear directly from current students about adjustment to graduate school life, resources, and caring community. A robust resource fair and formal welcomes from University leadership are a part of the event. The Graduate School sponsors an extended Navigating Graduate School series to continue orientation. New in 2013 was the addition of an annual Spring semester orientation for new students entering in January. Improved Student-Faculty and Student-Alumni Mentoring Relationships: Graduate School leadership is developing a mentoring best practices resource document for faculty and students. A Graduate School associate dean and the graduate and international student career advisor are developing strategies to enhance alumni and graduate student networking and mentoring opportunities. Suggestions for Future Attention: Many of the specific opportunities listed in the 2013 GPCI were already being offered, or the requests were too vague for later implementers to know how to effectively operationalize a response. Encourage the new GPCI to identify issues and needs with more specificity so solutions can be identified to meet needs. Many of the policies, programs, and support structures listed below predate the GPCI, for example the parental accommodation policy was implemented in 2008 and the student child care grant program was created in 2004. The GPCI focused additional effort on better communicating and marketing our programs and creating “one stop” places for resources and information. The Family Services work group, which includes student-parents, student partners and staff from across campus, continues to meet and develop initiatives to benefit students with families. Parental Accommodation: Since 2008, graduate and professional students are eligible for parental accommodation to help balance competing demands of school and family life. Student Care Grant Program: The Student Child Care Grant Program was created in 2004 to make the grant subsidy available to as many Cornell students with child care expenses as possible. In 2015, funding for the program increased from $100,000/year to $250,000/year to reflect the increased demand on the program and costs associated with child care expenses, and for 2018-2019 the budget increased again to $350,000/year to include student-families from a wider range of income levels. The grant program now has three cycles during which student-parents may apply, Fall, Spring, or Summer. Leverage Support Services for Students with Families: The Work/Life consultant in Human Resources now works with student-parents in evaluating appropriate child care options, and student families can participate in Parenting Workshops (e.g., Preparing for Baby) and receive support in finding appropriate lactation facilities and resources. The Work Group helped support the Lactation Room Enhancement effort with President’s Council of Cornell Women. 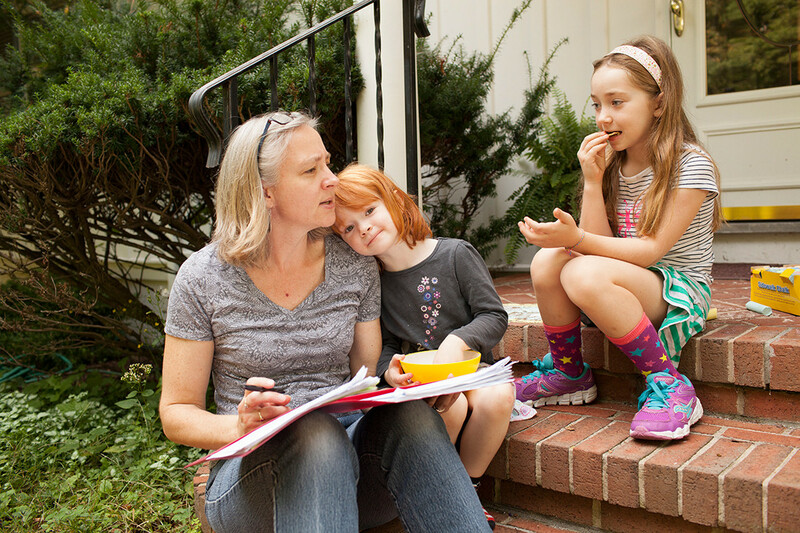 Students with Families Website: In 2015, the Family Services Work Group developed a new university-wide Students with Families website, which lists all University resources and services available to support students with families. The website serves as a central hub that includes information, policy, and resources for expectant students, students with children, and student partners and spouses. Students with Families Facebook Page: Created to provide updated information and community, this Facebook page increases community and connection among the student-with-families community, is an effective method of communication directly with student families, and more easily identifies student families. Improve Communications for Students with Families: In addition to the website and Facebook presence, information is posted in the Graduate School’s weekly Graduate Announcements, via a list of student-parents who have attended programs or received a Cornell Child Care Grant, postings to the University Students with Kids listserve, and via a dual career listserve for student partners. Each incoming graduate student receives a bookmark as part of Orientation, with links to resources for students with families. Cornell Health, Transportation Services, and Student Disability Services inform students who have temporarily limited mobility due to pregnancy about Cornell’s parking and transportation options for students with mobility issues, including CULift and handicap parking. Student Families Orientation: A coordinated orientation campaign now includes formal welcome for student-families, Hasbrouck Family Resource Fair, ISSO Orientation special session for graduate student partners, BRB annual breakfast for students with children to talk about resources available, and a Family Swap for a free exchange of student-parent items for infants/toddlers/school-aged children. Students with Families Data: The Family Services Work Group analyzed data from the Graduate School Doctoral Student Experience survey to identify differences in the experiences of students with partners compared to those without. The Work Group also conducted a Student-Parent Survey to identify characteristics to better describe and advocate for Cornell student-parents and families, and to evaluate institutional programs and resources designed to support Cornell’s student-parent community. Partner/Spouse Employment Workshops: Since 2012, a three-part series is available to partners and spouses each semester to support them in their employment pursuits (Working at Cornell, Working in Tompkins County, and Volunteering). Partnership with Tompkins Workforce allows individual job coaching/counseling for partners/spouses. Partners/spouses can sign up for weekly announcements of positions available through a listserve. Students with Families Events: Since 2012, the Family Services Work Group has sponsored a variety of opportunities to establish community for our students with families: Student-Parent Night, Spouse & Partner Happy Hour, BRB Family Fellow, and many orientation activities. Fellowship Support for Students with Families: PhD students who are student-parents are eligible to be nominated for support through the Provost Diversity Fellowship program, which could help some students with their final-year dissertation writing in the midst of family responsibilities. Suggestions for Future Attention: Consider the possibility of appointing a single staff member to serve as the primary contact for student family services and whose responsibilities include communicating with student parents and increasing access to information and support services. Identify sustainable, effective strategies to make sure every student family is reached. Review university policies to determine how they support the student-parent experience and make recommendations as needed. Determine the needs of the student partner/spouse community. Further improve connections with Cornell Office of Human Resources toward strengthening even more the marketing of positions directly to student partners/spouses. Since 2010, the Graduate School has improved delivery of career information through partnerships with Career Services that include a dedicated career advisor, through two grant-funded centers to address future faculty (CU-CIRTL) and non-academic (BEST) careers, and via a menu of professional development programs, events, and workshops. Graduate and International Career Advisor: To address a gap in career programming and advising, the Graduate School and Cornell Career Services partnered to create the full time position of the Graduate and International Career Advisor. A bi-weekly e-newsletter, CU Careers Beyond Academia, provides career information and job opportunities for graduate students pursuing careers beyond academia, and workshop series are offered each semester on job-search resources, elevator pitches, networking tools, resumes and cover letters, and other topics. Appointments and drop-in services are available to graduate and professional students. Center for the Integration of Research, Teaching, and Learning: In 2012, CU-CIRTL (the Center for the Integration of Research, Teaching, and Learning) was established as a member of a national network of research universities (now including over 40 institutions) creates opportunities for cross-field interaction around preparation for effective and inclusive teaching, research mentoring, and academic careers. It offers cross-campus opportunities for interaction with faculty and students from other CIRTL Network institutions through regional symposia, online courses, webinar series, exchange visits, and summer training institutes. BEST Program: Through the National Institutes of Health, the BEST (Broadening Experiences in Scientific Training) Program is available to graduate students and postdocs. This is a university-wide initiative that offers workshops, off-campus alternatives to the traditional rotations in years 1-2, and mentorship or externship opportunities for careers beyond the academy. It will be expanded further in 2018-2019. Alumni Networking Events: Alumni networking opportunities for graduate students have increased through collaborative opportunities. These include: a President’s Council of Cornell Women (PCCW) networking luncheon for graduate women from any field; three alumni career talks; a networking event at Reunion; and graduate student participation in Cornell’s alumni job-shadowing Extern program. Alumni Engagement opportunities have been expanded through a Provost funding mini-grant program to support graduate fields in the humanities and social sciences to engage alumni in professional development events focused on non-academic career pathways for PhDs. Online Career Resources: Cornell makes available to graduate students the resources of Versatile PhD, the oldest, largest online community dedicated to careers beyond academic for PhDs in humanities, social sciences, and STEM. ImaginePhD is planning tool for PhD students and postdoctoral scholars in the humanities and social sciences. Career Outcomes: In partnership with the Survey Research Institute and Institutional Research and Planning, the Graduate School continues to implement and fine-tune processes for delivery and analysis of four student survey instruments to obtain information on students’ experiences (admitted not attending, new students, doctoral experience, and exit surveys). Included in these surveys is a Doctoral Career Outcomes project to develop an approach for tracking alumni career outcomes. 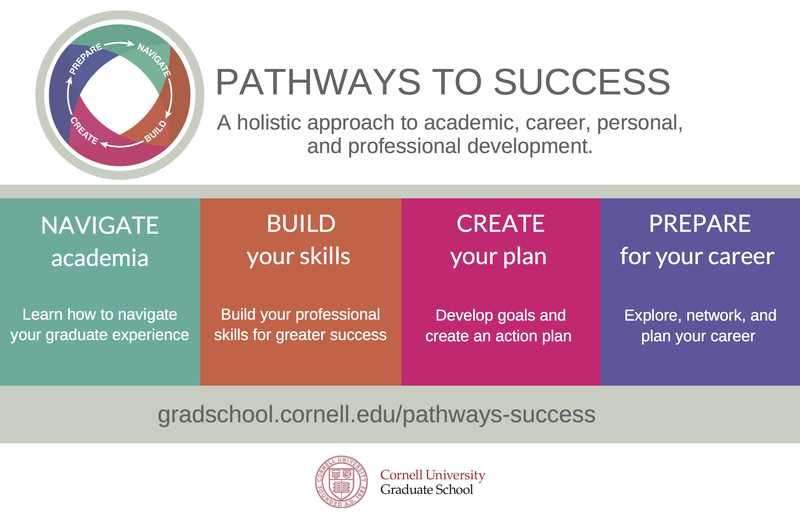 Pathways to Success: Professional development is supported at the Graduate School through Pathways to Success. The framework helps graduate and professional students be successful in their research and scholarship and establish the necessary skills for their future career. Workshops and events are organized into the following thematic focus areas: Navigate Academia, Build Your Skills, Create Your Plan, and Prepare for Your Career. Programming is provided through the Graduate School (offices of Graduate Student Life, Academic and Student Affairs, Inclusion and Student Engagement, and Postdoctoral Studies), CU-CIRTL, Center for Teaching Innovation, and Career Services. Pathways to Success (P2S) Symposia: Launched in 2018, these are one-day professional development and career exploration opportunities for graduate students and postdoctoral scholars. These events provide participants with information and tools useful for their time at Cornell and beyond..
Graduate and Professional Degree Networking Group: The Graduate School has encouraged alumni/student interactions through CUeLINKS, and alumni/student networking and mentoring platform, and through the Graduate and Professional Degree Networking Group in CUVolunteer. Colman Leadership Program: Through a partnership with the College of Engineering established in 2015, the Graduate School now offers the Colman Leadership Program, an intensive 4-day leadership immersion program, to PhD students from across all graduate fields. Suggestions for Future Attention: Periodically assess the set of professional development programs and career-related resources to identify if they are meeting the needs of graduate and professional students. Encourage units that do not periodically survey students regarding career interests and alumni regarding career outcomes to do so and to use the information to inform career development programs for their students. Since 2012, the Graduate School has worked with members of the GPSA to address the mental health and wellbeing of the graduate community. In recent years, we have partnered with successful programs across campus to ensure that graduate and professional students are aware of and included in resources, programs, and workshops. In some cases, we tailored these programs to the needs of graduate and professional students. Health and Wellness Resources: The Graduate School continues to promote wellness resources on the website and through emails to all graduate and professional students, and by implementing new surveys addressing the graduate and professional student experience. Counseling Programs: Cornell Health Counseling and Psychological Services (CAPS) have increased programming for graduate and professional students. Specifically, “Let’s Talk” programs and weekend hours for counseling services. Perspectives Series: The Graduate School hosts Perspective Series to address health and well-being topics for our graduate and professional students. Empathy, Assistance, and Referral Service (EARS): EARS piloted the expansion of peer-based support through EARS program where graduate/professional students are the EARS trained counselors. Personal Financial Education: In recognition of financial stress graduate and professional students may experience, and with support from the Council of Graduate Schools, the Graduate School secured a grant in 2013 to enhance student personal financial literacy across the university. Students have the opportunity to participate in personal finance educational opportunities. Graduate and Professional Student Mental Health Committee: In Spring 2016, the GPCI Mental Health Committee was reconfigured to align with existing Cornell resources and units to become a standing Graduate and Professional Student Mental Health Committee to function under the University’s Council of Mental health and Well-being. Discussions are underway to further refine the charge and membership for the committee. Graduate and Professional Student Sexual Violence Prevention Work Group: In Spring 2016, the Graduate School established the Graduate and Professional Student Work-Group to work on addressing issues of sexual violence prevention in the graduate/professional student community. Suggestions for Future Attention: Review the outcome of the 2017-2018 Jed Foundation external review of Cornell’s mental health programs and determine recommendations addressing the mental health needs of graduate and professional students. Graduate students at the Future Professors Institute. Diversity and inclusion goals are a priority for the GPSA, Graduate School, and Cornell University; in fact, they are prominently featured in Cornell University’s most recent Strategic Plan. 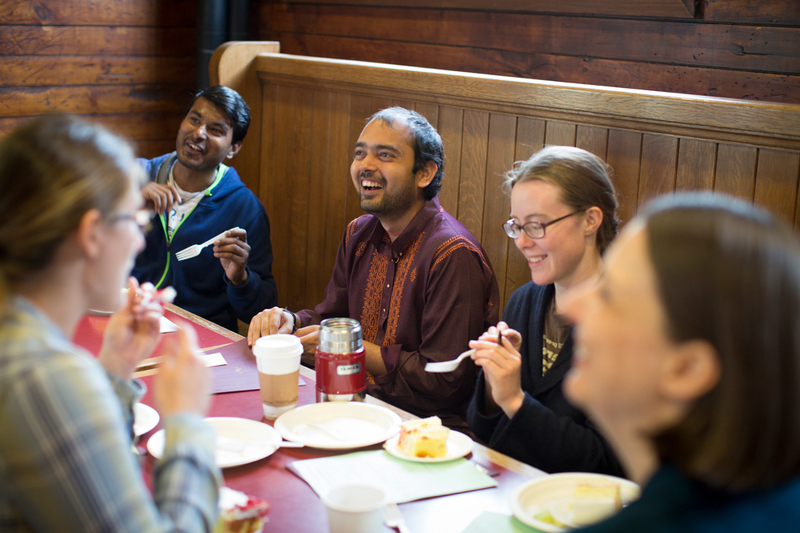 Over the last several years, the Graduate School has included academic, professional, and career support for diverse graduate students, including first generation students. Diversity Student Organizations: Since 2007, the major graduate and professional diversity student organizations has grown significantly in membership, event production and visibility in the Cornell community supported through the Graduate School: Black Graduate and Professional Student Association (BGPSA), Cornell Latin American Student Society (CLASS), Indigenous Graduate Student Association (IGSA), Latino Graduate Student Coalition (LGSC), Multicultural Academic Council (MAC), Society for Asian American Graduate Affairs (SAAGA), Out in STEM (oSTEM), Graduate Women in Science (GWIS). All of these organizations along with the GPSA Diversity & International Students Committee are represented on the Graduate and Professional Student Diversity Council that works in collaboration with the Graduate School Office of Inclusion and Student Engagement. Graduate Student Ambassador Program: The Graduate Student Ambassador Program, started in 2013, engages current graduate students in the recruitment and enrollment of prospective graduate student from backgrounds historically underrepresented in graduate education. Summer Success Symposium: Established in 2015 in partnership with the College of Engineering, the Summer Success Symposium is a one-day event for new and continuing M.S./Ph.D. and Ph.D. students from across all graduate fields and has a particular focus on bringing together recipients of graduate fellowships in support of diversity as well as all other doctoral scholars who identify as students of color, first generation college (FGC) students, and/or who identify with other historically underrepresented groups such as Veterans, students with disabilities, women in STEM, and LGBTQQ+. Through this symposium, participants have the opportunity to form connections and establish community. This symposium also provides participants with the opportunity to engage with successful Cornell Ph.D. alumni and faculty, and to acquire knowledge and insights that help them navigate their successful transition to and progression in their graduate studies. Future Professors Institute: Launched in 2016 as a collaboration between the Graduate School, CU-CIRTL, and the Office of Postdoctoral students, this one-day institute features workshops and guest speakers from multiple institutions discussing the topic of preparing for successful faculty careers. The target audience for this institute includes doctoral students, postdocs, JD, JSD, and MFA students interested in academic careers, with the primary audience being students and postdocs who identify with backgrounds historically underrepresented in the professoriate. Intergroup Dialogue Project. In 2016, the Intergroup Dialogue Project (IDP), in collaboration with the Graduate School and CU-CIRTL, piloted an IDP program for graduate students. This program focuses on social identities (such as race, socio-economic status, sexual orientation, ability/disability, and gender) and aims to promote the development of consciousness about social identity, oppression, and privilege; to explore the effects of social inequality at personal, interpersonal, and structural levels; to build relationships across differences and conflicts; and to strengthen individual and collective capacities to promote social justice and equity. My Voice, My Story Interactive Theatre Project: This theatrical, facilitated-discussion experience stimulates discussion and allows for greater understanding of the stories of the lived experiences of graduate and professional students that frequently go untold, leading to greater shared understanding, respect, and empathy among students, faculty, and staff. 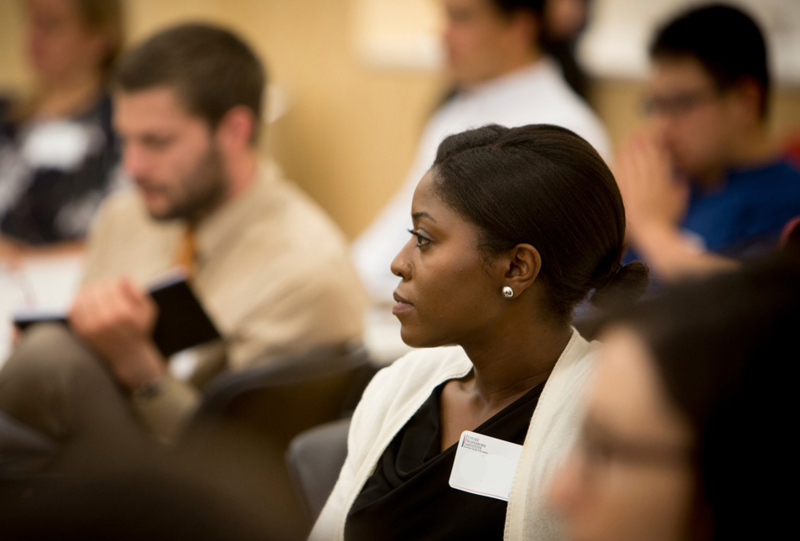 NextGen Professors Program: This career development program focuses on preparing Cornell doctoral students and postdocs of color and/or who identify as first-generation college students for faculty careers across institutional types. As a cohort, participants engage in a series of professional and career development activities including the Future Professors Institute. Power Mentoring Dinners: These events feature alumni and faculty speakers and provide the opportunity for current graduate students and postdocs to engage with the speakers in an informal environment. The diverse alumni and faculty featured through this program series are from a variety of employment sectors and include junior as well as high accomplished, senior faculty and professionals. Inclusive Teaching Institute for Graduate Students and Postdocs: Launched in 2016 by CU-CIRTL, this institute brings aspiring educators together to engage proactively in complex discussions about aspects of diversity at Cornell and beyond. Additionally the institute supports early career academics and professionals in incorporating inclusive teaching practices into their classrooms, and helps to nurture a peer network that can serve as a resource on matters of diversity in higher education. Colman Leadership Program: This program for PhD students across all graduate fields provides an intensive four-day program focused on skills and knowledge that will support students’ development as leaders in graduate school and beyond. English Language Support Office: In Fall 2014, the English Language Support Office (ELSO) was created to provide seminars, individual tutoring and consultation, conversation and writing support groups, and acculturation activities for graduate and professional students whose English is a second language. Graduate Writing Service: The Graduate Writing Service was piloted in Spring 2013 through the Knight Institute for Writing in the Disciplines and has continued throughout. While open to all graduate and professional students, international students may benefit greatly from these services. PCCW and GPWomeN: Since 2013, the Graduate School has worked toward building a relationship with PCCW and GPWomeN to provide women’s professional development opportunities; at the PCCW Annual Luncheon, and a new collaboration to have a GPWomeN – PCCW Seminar Series. Suggestions for Future Attention: Address issues identified through the ongoing work of the Diversity and International Students Committee within the GPSA. The redevelopment of the Maplewood property has provided an opportunity for graduate students to have a voice in housing. To help students living off campus, the Graduate School now works with the Off Campus Housing Office to develop information specially designed for newly admitted graduate and professional students. 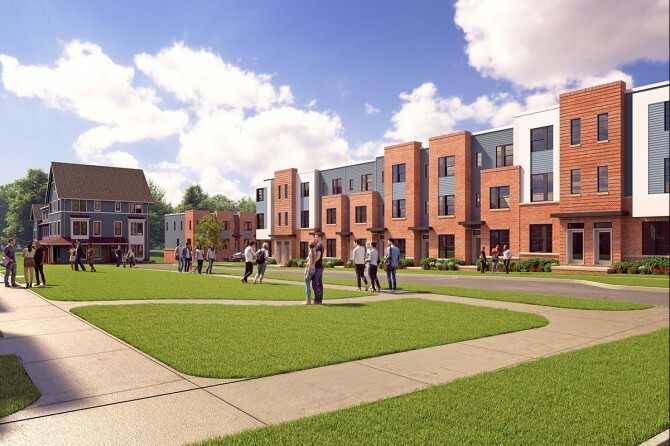 Maplewood Redevelopment: Graduate student representatives participated in a University-wide committee to provide input on the redevelopment of the Maplewood property for improved access to graduate/professional student housing, which is opening in Summer ‘18. Off Campus Living Office Improvements: To support the off-campus student life experience, the Off-Campus Living Office has developed presentations and information for admitted students. Changes include: 1) A redesigned website with more information specific to graduate students, 2) Presentations for graduate fields and admitted students, 3) A list of best practices to help students find and sign leases for off campus housing, 4) Prominently features the New York State Tenants Rights Guide, 5) Neighborhood descriptions including distance from campus. The reorganization of the Dean of Students Office created the Office of Campus & Community Engagement within which the Off-Campus Living Office (formerly Off-Campus Housing Office) is situated. The office sends a biweekly “Off-Campus Living” newsletter to interested graduate students. Housing Information for Students: The Off-Campus Living Office hosts a webinar each semester that focuses especially on reaching new, incoming international students. In addition, Off-Campus Living information is featured on the New Student website and Living@Cornell websites. Information includes links to TCAT information sites regarding local transportation. Photos have been added to the website as well. The Office maintains a listings site. Cornell partnered with the Building Division of the City of Ithaca to create an online system that displays the relative safety information of City rental properties. The system is updated daily with key safety information, including fire safety, notification systems, construction type, and property use, to help graduate students make informed decisions in choosing safe living environments. Housing Allocation Priorities: Responding to the GPCI request, Cornell Campus Life gives first preference for on-campus housing allocations for graduate/professional students to students with families. Hasbrouck: Campus Life, in collaboration with Residential and New Student programs, continues to offer family-focused and family-friendly housing at Hasbrouck. Wireless access has been improved. Picnic tables and playground equipment moved from the closed Maplewood Complex were added to Hasbrouck to increase availability of equipment for outdoor recreation. Explore potential availability of short-term housing for graduate students arriving in Ithaca prior to the start of their On Campus/Off Campus housing contract due to early arrival needs. Explore potential solutions to challenges that one-semester graduate students and affiliates face with finding accommodations. Recommend GPCI work through the Student and Campus Life Housing Operations Committee. Parking on campus presents challenges for students, faculty, and staff alike. The Graduate School has advocated for improved parking options for graduate and professional students. Recent advances have included a parking pass for vet students to help with their on call requirements and limited mobility access. Parking and Omnibus Benefits: Beginning in 2007, changes to parking and omnibus benefits have been ongoing. Changes include: Short-term parking permits can be purchased; an occasional-parker program exists; OmniRide can be purchased by spouses; and the first year of OmniRide is free for graduate students. Reduced Fee Parking Passes: Reduced parking pass fee for off-campus commuters is available to all graduate and professional students. In addition, on-campus options are available for short-term parking ($0.75/hour) using Parkmobile pay-by-cell technology, and no-fee parking in A lot after 2:30 p.m. for vehicles registered with the Transportation Office. Ithaca CarShare: In 2015, Ithaca Carshare location was piloted at Hasbrouck with success. The result was that a Carshare location is now a permanent option at Hasbrouck. 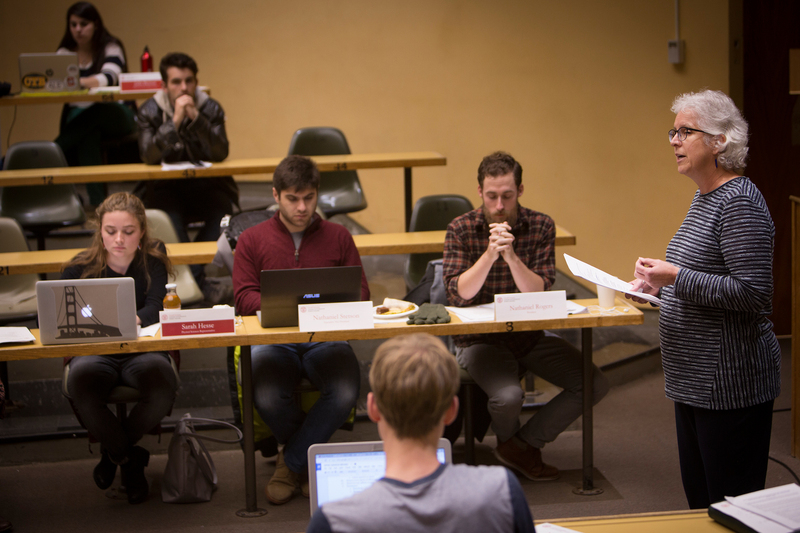 Cornell subsidizes annual membership for graduate students. Information for New Students: Transportation staff now participate in new student orientation activities for graduate and professional students to provide information about parking and transportation. Accessible Parking: Since the early 1990’s, short-term handicap parking permits are available to the graduate and professional student community. Website information has been updated to try to publicize this more widely. Limited Mobility: In 2015, additional efforts were made to provide students with limited mobility better information about CU Lift and accessible parking. Information has been made available on various websites, along with working directly with SDS, Gannett Health Services and the Students with Families Advisory Committee. TCAT Trip Planner: In August 2017 TCAT launched a real-time trip planner using MyStop mobile app for smart phones. Suggestions for Future Attention:Provide parking and transportation information to newly admitted students so they are informed about these issues as they choose where to live. Participate in the upcoming university-wide parking optimization study and help review consultant recommendations when available. To address future GPCI topics, create topic-specific ad hoc student-staff committees to review specific topics/issues/concerns. Encourage graduate students to serve on TCAT’s Citizen’s Advisory Board. The Graduate and Professional Student Assembly is the shared governance body of graduate and professional students, who work with the university administration to improve the quality of the student experience at Cornell. In addition, the General Committee, the policymaking body for the Graduate School, includes two voting student members. Cornell’s senior leadership interacts regularly with the GPSA. See details in a Chronicle article about shared governance. Numerous advisory bodies, committees, and task forces across the university include students, such as the Student Health Benefits Advisory Committee, and the Students with Families Advisory Committee. At the highest level of policy-making, the Board of Trustees for the University includes two voting student members elected by the student body, one of whom is a graduate/professional student. The Graduate School has been working on improving communications around key policies, procedures, and benefits for graduate students. To make it easier to find policies, the Graduate School developed a filterable search tool to make it easier to find important policies, procedures and benefits by key word, category, or type.